You are here: Home / coaches / You Might be Embarrassing Your Child if…. You Might be Embarrassing Your Child if…. Are you unintentionally embarrassing your child? Any sports parent who uses humiliation or embarrassment to try to motivate an athlete is barking up the wrong tree. 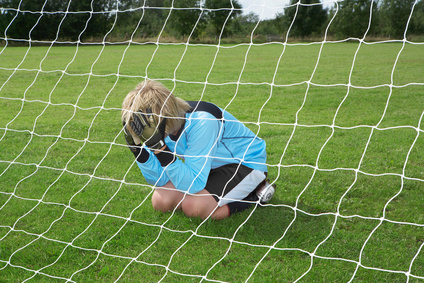 In an article by Dr. Chris Stankovich, founder of Advanced Human Performance Systems, an athletic counseling and human performance enhancement center, he states that humiliating your child is not the way to sports success. 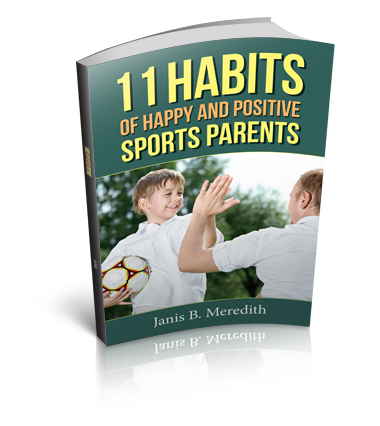 Although it’s understandable that some parents become emotionally charged watching their kid make mistakes on the field, humiliating them is not only a sign of poor parenting, but it’s also not effective in helping kids improve their sports skills, either. Words are not the only way to destroy a kid’s confidence and self-esteem. Actions and body language count, too. Passive-aggressive behaviors are indirect expressions of anger and disgust through subtle insults, stubbornness or deliberate failure to cooperate. An example of this type of behavior might be purposely not buying your child a piece of necessary sports equipment, with the intended meaning being that the kid isn’t good enough to deserve having the equipment. Stankovich warns that body language also sends messages. If parents angrily or nervously pace the sidelines or throw up their hands, kids who look to their parents for approval will see that behavior and believe me, it’s not going to motivate them to play better. (Read the full article here). Hanging around the dugout or behind the bench so you can coach your kid during the game. Chewing your kid out from the sidelines during the game. Instructing your child with negative “Don’t” statements. Don’t strike out! Don’t drop the ball! Why even put the negative thought of failing in their head? Showing up at your kids’ game after you’ve been drinking. Seriously, I have seen parents do this. They usually end up embarrassing themselves and their kids. Yelling at the coach during the game or threatening to confront them after the game. Not showing up when you signed up to help out. If you are not sure if your words or behavior are embarrassing your child, try this test: imagine if someone trying to motivate you in your job said the same things to you that you say to your child. Would that motivational tactic work? Imagine if your boss threw her hands up in the air in disgust or paced around your desk as you worked. That sort of behavior would NOT motivate you to perform to the best of your potential. And it doesn’t work on your child either. Stay positive, encouraging, and back off. That’s the first step to helping your child play their best. If you need a parenting plan to raise a champion, let’s talk. I’m a parenting coach. Set up a free introductory 30-minute coaching session here.